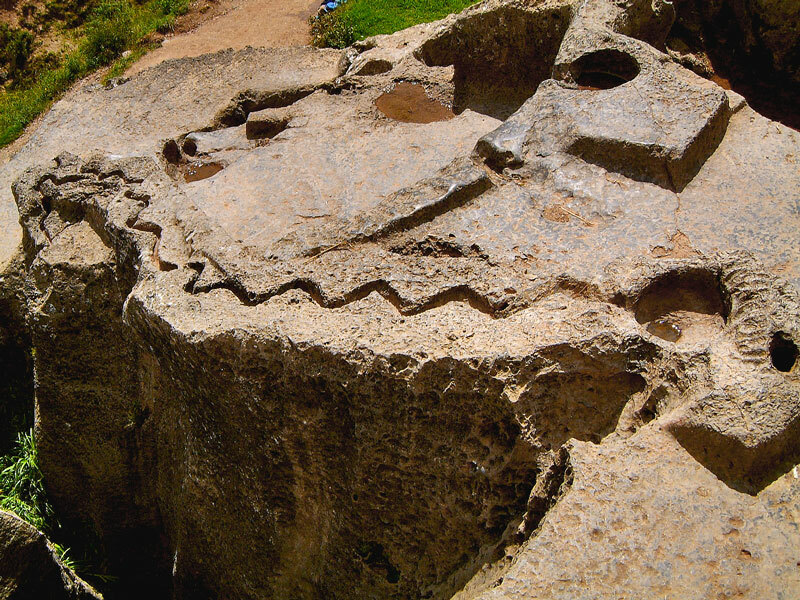 Q’inqu translates to zig-zag and is a name given to the site on account of the strange zig-zag canal that is found etched into the sacred rock at the centre of the site. It seems certain that liquid was channelled down the zig-zag, but no one knows what liquid or why. The most popular theory is that it formed part of a funerary ceremony and that people were embalmed with the cave that has been carved within the sacred rock.